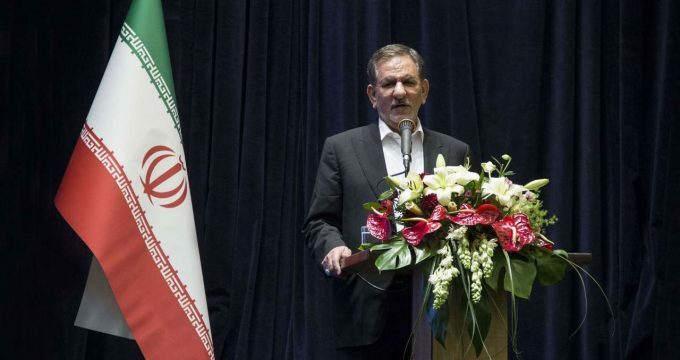 IRNA – Iran’s First Vice President Eshaq Jahangiri said that the process of ongoing works and developing measures are positive and promising. The high-ranking official said the system of the Islamic Republic continues to face up to all problems due to its goals, aspirations, prosperity, independence and the establishment of Islam in various aspects of government, although it faces some problems, but people are loyal to the system. ‘We are today, in the true sense of the constructing country of power plants of the country, and we are taking part in international tenders for the construction of power plants around the world,’ said the vice president of Iran. He said that the United States was launching economic warfare without knowing the capabilities of Iran and its specialist forces and therefore pushes it to prevent oil exports, but it cannot.